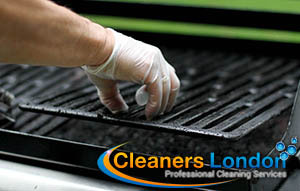 We offer one of the most professional and expert BBQ cleaning service in London available to you. 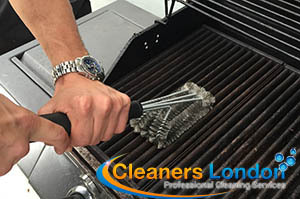 We use strong and highly efficient barbecue cleaning products that can guarantee a complete and thorough cleaning. Very happy with the job your cleaner done, my BBQ was perfectly cleaned. Our cleaners will remove all of the removable parts and they will clean them separately with special degreasing products. The cleaners will hand scrape any burnt-on food remains and will spray your barbecue, grill, smoker, etc. After our cleaners have cleaned each removable part and the rest of your barbecue, they will reassemble it and it will be ready to use. If you want the best cleaners to take care of your barbecue, call us now. 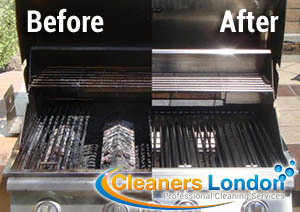 We will clean and sanitise your barbecue, and will leave it look like brand new.